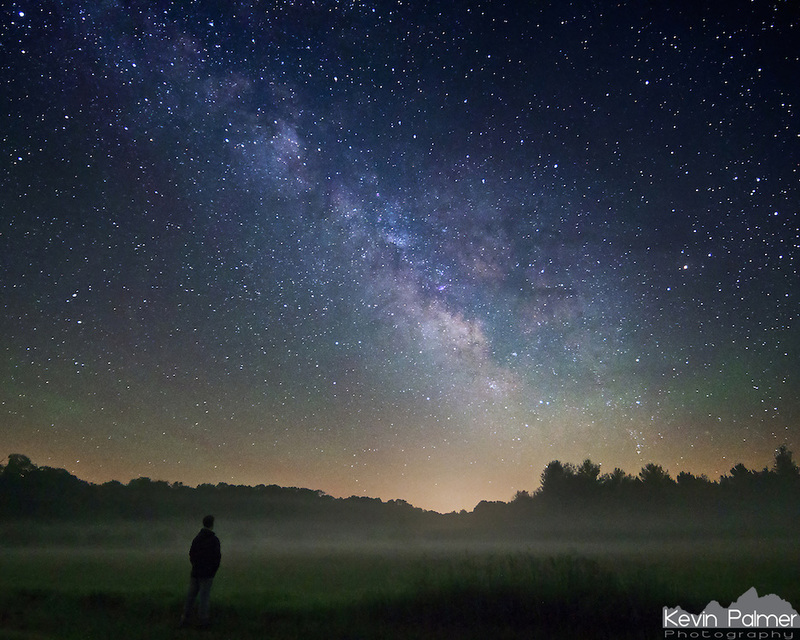 A misty fog covers a field as the milky way shines above. The patches of green in the sky are known as airglow, which is a very weak emission of light by a planetary atmosphere. I couldn't see the green light with my eyes but I could tell from the pictures it was quite active on this night. This self portrait was taken while camping at Sand Ridge State Forest, IL.